"Excellent simple tips and hints that you might not have seen elsewhere. I really enjoyed this book and will definitely go back and read again with a notebook in hand." Despite its serious and complex topic, Practice Like This is easy to read, always friendly and sometimes funny. Most topics are covered in a page or less. 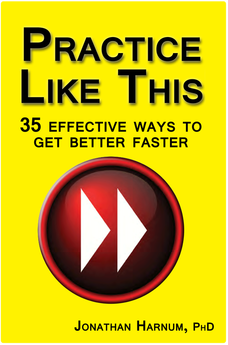 The less time you spend reading, the more time you can spend practicing!